Beautiful drawing of a very striking scene! 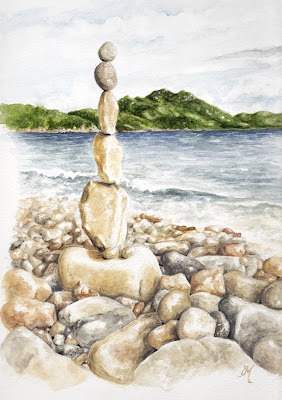 Your painting is wonderful and the balancing-wow! I love these, great painting! Oh, I love this. And I never thought of drawing any of the ones I've seen. I thought of photographing them, but they aren't that impressive in photos. Nicely done! Just Awesome... and the African snails & the Leaves!!! Can I use this as Artwork of the Day on the Lamma.com.hk home page, please? What a cool thing - I think you may be starting a worldwide trend. Very nice painting. I want to stack some rocks. I am blown away by the leaves of a few days ago too - and cool snail sketches too - I want to see what you do with them. I think it's fun you are getting away from food, etc. now and then. And the cigar, hamburger - and that nest!!! I am way too behind. Beautiful work. Where is my comment? I left a comment the other day, I thought. I said that your painting is great - I followed the link and it is amazing. You are starting a world-wide trend by posting this, I think. I need to find me some rocks. Thanks Everyone, I'm glad you like it. 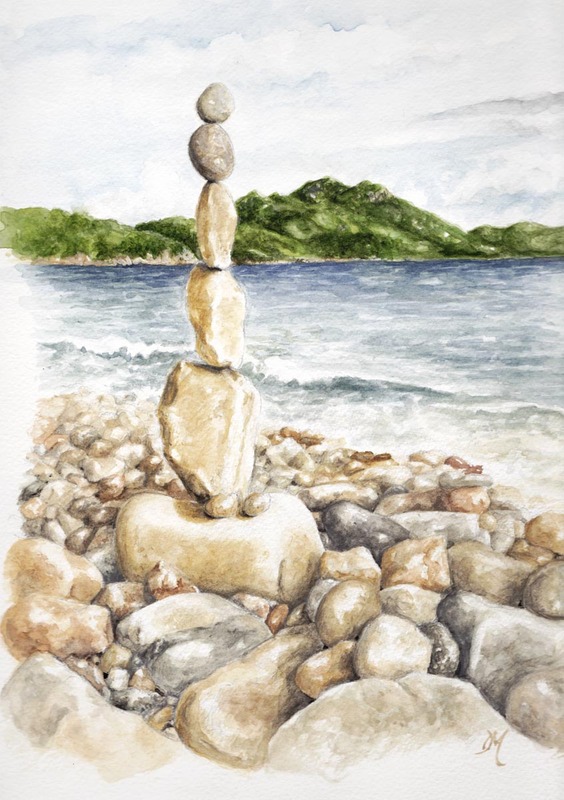 Malcolm stated rock balancing as a way to help recover from a bone marrow transplant. Hi Dan, Glad you like the rocks - It's a strangely calming pastime, and once you start looking there are quite a few people who've caught the bug. Bill Dan in San Francisco is probably the most well known. I've just started a website to show some of the photos I've taken over the years (http://www.rocksontop.net) and will be adding a links page over the next few days. Pop over and have a look! Malcolm - heading over there now.